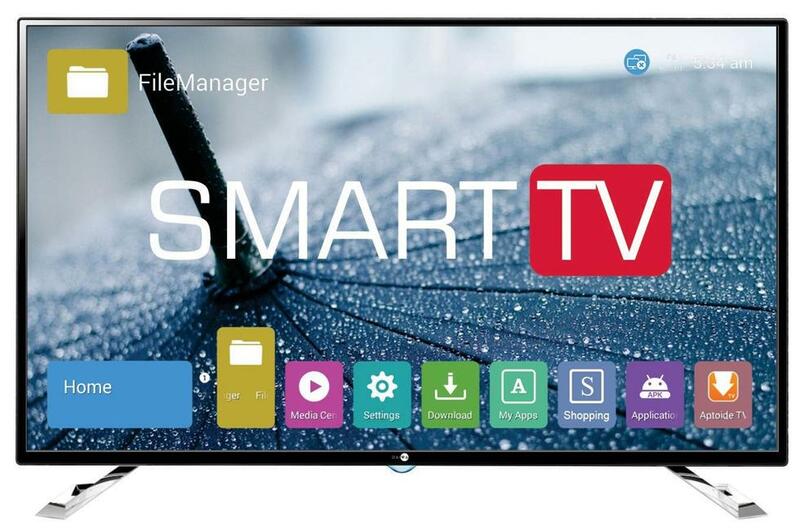 Daiwa TV has expanded its portfolio with its most recent 98 cm (40 inch), D40B10 LED TV. It comes with a heap of functionalities, easy to use interface and future slim technology. The 40 inch, Full HD LED TV comes with wireless Headphone Control. Additionally, its Eco Vision helps reduce power consumption for enhanced contrast and on-screen noise. With the screen resolution of HD 1366*768, one can enjoy the magic of cinema directly at the home. The smart TV comes with detailed picture quality with an A+ Grade panel and 16.7M Display Colours which makes every picture reel to real, the company said in a release. The multi-display function and the cinema zoom feature gives a clear view. Extending the boundaries of innovation, the LED TV comes with Image freeze, 3D comb filter, and picture enhancement feature that further enhances the picture quality, the release added. The Power Audio Volume system, integrated with 20 W Box Speaker that delivers a top-notch audio output. Additionally, one can also adjust the Bass, Treble and Volume using the Equalizer, giving one full access to control the sound desirable to the users. With the presence of several connectivity options including the 2 HDMI input ports, and 2 USB ports, the TV enables the users to connect to multiple media devices for a superior viewing experience. The product, which is priced at Rs 15,490, is available with all ecommerce stores in India. Importantly, Foxconn will be assembling the most expensive models, such as devices in the flagship iPhone X family, the source said, potentially taking Apple’s business in India to a new level. The work will take place at Foxconn’s plant in Sriperumbudur town in the southern state of Tamil Nadu, said the source, who declined to be named. Foxconn, which already makes phones for Xiaomi Corp in India, will invest Rs 25 billion ($356 million) to expand the plant, including investment in iPhone production, Tamil Nadu’s Industries Minister M C Sampath told the media. The investment may create as many as 25,000 jobs, he added. Another source also said Foxconn planned to assemble iPhones in India, in a move that could help both it and Apple to limit the impact of a trade war between the United States and China. 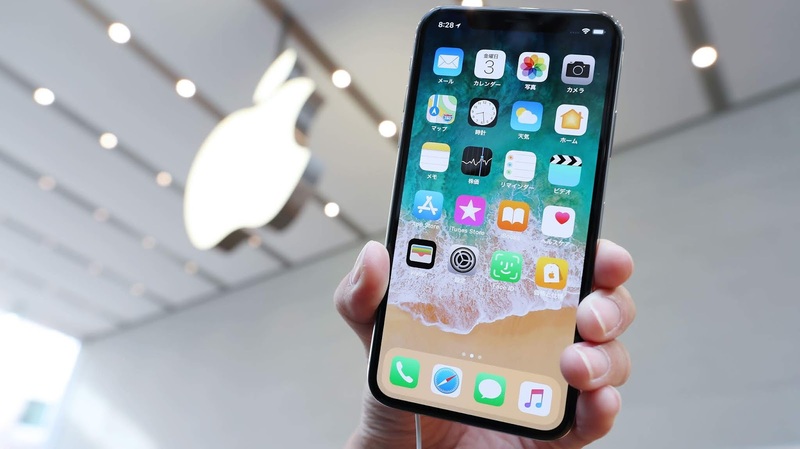 Apple launched the pricey iPhone X last year but has cut production of that phone, according to industry analysts, since it began selling the newer versions, iPhone XS and XR, globally this year. Still, it could potentially get Foxconn to make the older iPhone X version in India where it sells cheaper models in a bid to get a bigger share of the world’s fastest-growing major mobile phone market. It is not known if any of the iPhone assembly is being moved from existing Foxconn factories in China and elsewhere. 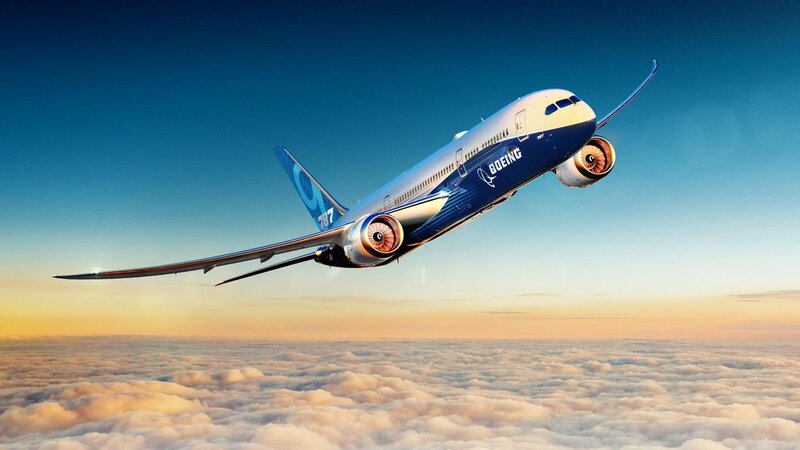 It is also unclear whether the production will be confined to assembly or include any component production in India. Indian taxes on import of devices and components have also heightened Apple’s headache in a market where it has only a 1% share by smartphone shipments. Making more phones locally will help Apple save costly duties and boost Prime Minister Narendra Modi’s flagship drive to make India a manufacturing hub, Singh said. 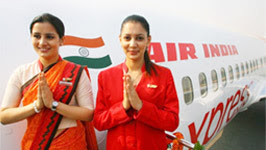 Owing to its close proximity to Arunachal Pradesh, the Lilabari airport serves both Assam and Arunachal Pradesh. 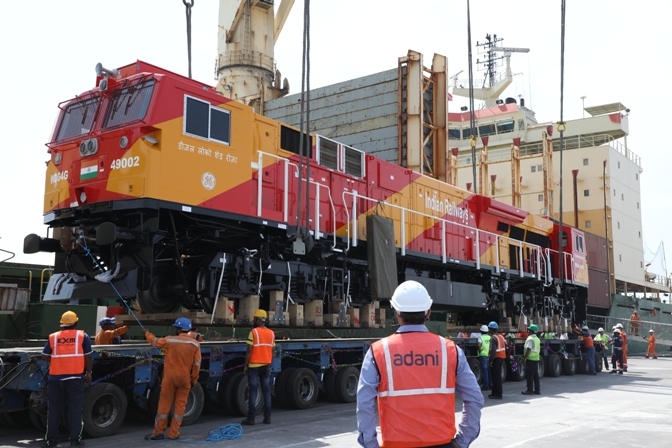 Adani Ports and Special Economic Zone Ltd (APSEZ) successfully concluded the import and dispatch of 50 General Electric Transportation (GE) locomotives from Mundra port for the Indian Railways with full customer satisfaction and ‘zero’ incident. All 50 locomotives were manufactured by GE Electromotive Division in the United States and imported at Mundra port for the Indian Railways, a first for Indian shopping and logistics. The final locomotive was handed over to the Indian Railways at the Roza Loco Shed (UP) on 23 November 2018. The commissioning of the locomotives was completed in the period of Oct.2017 to Nov.2018, which is a landmark record for the logistics and ports sector. Mundra port has the unique distinction of handling consignments critical for development and defence of the nation. In a short span of time, the port has played an instrumental role in logistics of wagons for various Metro projects pan-India, mining dump truck of 240 MT capacity and heavy duty air-crane (helicopter). Sources say that the port is set to receive the first batch of Boeing Chinook helicopters which is purported to give a decisive edge to India’s defence forces in war like scenario and also during times of humanitarian crisis. APSEZ is India’s largest private multi-port operator and a part of the Adani Group, an integrated infrastructure corporation. Since 1962, after the import of WDM2 ALCO locomotives for the Indian Railways, the current import of GE locomotives (WDG4 series 49002) is the biggest import consignment in India. The first GE locomotive was imported to Mundra and successfully handled by Adani Port on 10th Oct. 2017. The loco was dispatched from Mundra to the Roza Loco Shed on 11th Feb. 2018 and the 50th loco was dispatched on 23rd Nov. 2018 within 10 months. With the purpose of Dedicated Freight Cargo Corridor, the selling point for the port was available to facilitate the commissioning of locos. Also, the strategic location of port was a huge advantage. Mundra Port is the second largest port in India in handling container cargo. In 2014 – 15, Mundra port handled 1.75 Million TEUs and has the installed terminal capacity to handle 2.3 Million TEUs p.a. Adani Ports operates two terminals at Mundra - Adani Mundra Container Terminal (AMCT), which started operations in 2007, and Adani International Container Terminal (AICTPL), which was operationalised in 2013. Jointly both terminals handle 26 services, connecting India to destinations across the world. OYO Hotels, India’s largest and the world’s fastest growing chain of hotels, homes and quality living spaces released the OYO Annual Travelopedia 2018 today. 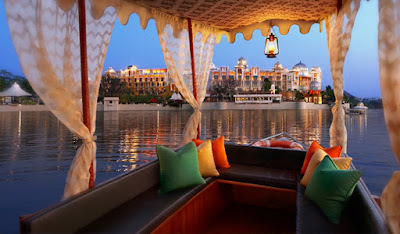 The one-of-its-kind index revealed that Karnataka is the most welcoming state in India basis the number of travellers and bookings received throughout the year. 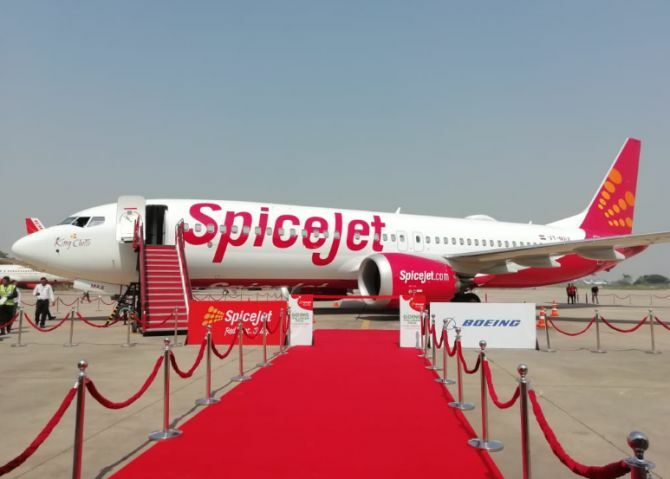 The national capital was the most popular for visitors all year round, however, most Delhiites recorded the maximum number of travel cancellations followed by re-bookings which made it the most confused city of 2018. The analysis also recorded that an OYO was booked every 0.75 seconds in 2018. The study revealed interesting facts like 22nd December 2018 was the most OYO’d day – where the hotel chain received maximum number of bookings of 1,38,000. The data also revealed that OYO recorded a 2.9X year-on-year jump in the number of bookings with an OYO being booked in every 0.75 seconds. Interestingly, Goa was the most-searched destination for OYO. This year’s OYO King emerged from Pune who stayed in over 239 OYO hotels and OYO Queen from Ahmedabad who stayed in 125 OYO hotels across the year. Some fascinating facts that also emerged were that a single user stayed at an OYO property for 228 maximum continuous nights while another user travelled to 4 different countries and stayed in OYO properties throughout. The most popular time to book an OYO property in 2018 was 8:00pm. 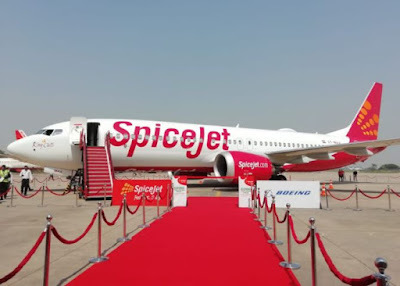 The most preferred OYO locations in Mumbai and Delhi were around the airport whereas Koramangala in Bengaluru and Salt Lake in Kolkata topped the charts. ● The One Who Got Away - OYO is eagerly waiting to host these explorers in 2019. Whichever destination they decide at any time of the year - there’s always an OYO around! 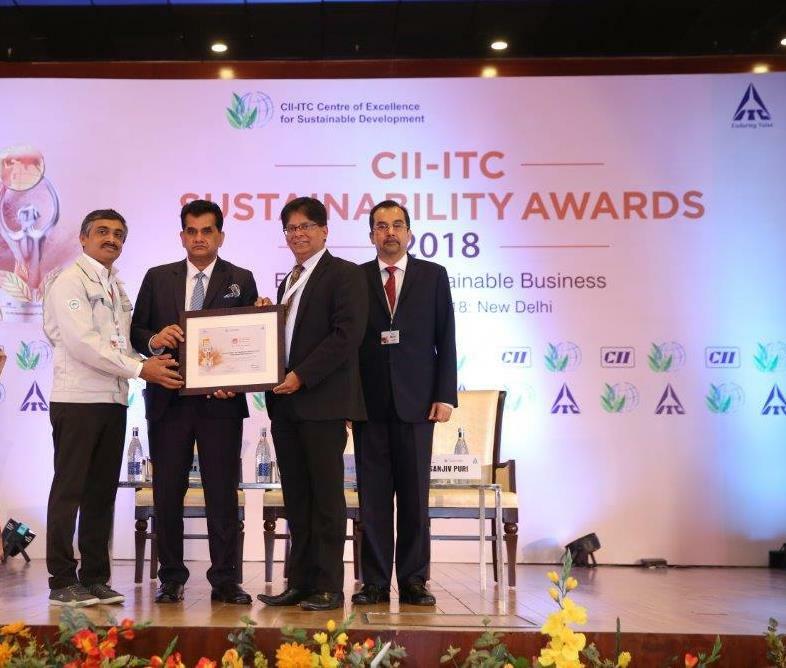 Toyota Kirloskar Motor (TKM) was recently honoured with the prestigious award for ‘Significant Achievement in Environment Management’ awarded by CII-ITC Centre for Excellence for Sustainable Development [CESD] under the category ‘Environment Domain’ of CII ITC Sustainability Award 2018. The company is awarded for its multifold efforts recognizing the eco strengthens in incorporating green technologies for production, optimization of renewable energy utilization within the plant, its green product portfolio and handholding its supply chain partners in enhancing their environmental performance. Toyota leads through its long-term objectives towards carbon neutral value chain, thus creating a positive impact on the environment. TKM also engages with its dealer partners in establishing eco-systems to attain sustainability in its dealer operations at various regions across India. Environment Conservation is inherent in the Toyota culture. Toyota Kirloskar Motor’s vision, philosophy and guidelines are true reflections of its commitment for a sustainable future. Its focused on achieving harmony between its manufacturing activities and the environment based on the concept of 'a plant that optimally utilizes natural resources while operating in harmony with the natural environment'. TKM aspire to be the most loved and admired automobile company in India by following the Toyota-way philosophy. Toyota has consistently exhibited its relentless commitment to add value through its world class systems and processes. TKM works consistently towards making quality cars, built to international quality standards, yet keeping in mind the local sensitivities. Toyota is committed to manufacture technically advanced and environment-friendly products. TKM’s ISO 14001 certified plant at Bidadi, Karnataka is surrounded by a green belt and meets high environmental standards. The company embeds sustainability across all our business practices and constantly strived to implement best practices that promote reuse, reduce & recycle of wastes within the manufacturing plant. TKM’s plant facility 2 has been established based on Toyota Eco-Factory Concept, designed to contribute towards reducing overall environmental impact based on the concept of “Monozukiri” (Manufacturing in Harmony with Environment]. Through its philosophy of “KAIZENS”, TKM drives continuous improvement in its environmental performance with active participation of employees in bringing the change. Through its globally advanced & innovative technologies - Toyota manufactures & offers world-class fuel efficient, quality vehicles such as Camry Strong Hybrid. Further, Toyota always looks forward to bringing in more of such technologies which aims to reduce the impact on the eco-system. 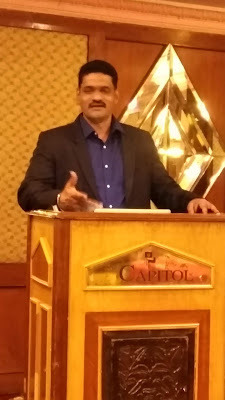 On receiving this award, Senior Vice President and Environment Director of Toyota Kirloskar Motor - Mr. Raju B Ketkale said, “Since its foundation, Toyota has continuously strived to contribute to the sustainable development of society through manufacturing of Innovative-Quality products and services leading the times. Toyota always believes in the philosophy of ‘Respect the Planet’ and has meticulously endeavored to work towards the betterment of the environment. We are committed for our vision of greener tomorrow and have announced our long-term commitment towards the Society and Environment through our Global Environment Challenge 2050. TKM has been able to prove its eco commitments with continuous improvements in Environmental Performance year-on-year. Guided by Toyota’s Global Environmental Challenge 2050 that aims to reduce CO2 emissions to ZERO, Toyota Kirloskar Motor further up-scaled its various eco-initiatives in and around its manufacturing facility. Toyota has decided to challenge itself to reduce vehicles CO2 emissions to ZERO by 2050. From fuel efficient vehicle to developing ever better eco-technologies and approaches, TKM focuses on environmentally sustainable solutions in every business operation and every vehicle that is manufactured. The Toyota Environment Challenge 2050, which is developed in line with the Sustainable Development Goals, aims to have new vehicle zero CO2 emissions; zero CO2 emissions throughout vehicle lifecycle, plants with zero CO2; challenge of minimizing and optimizing water usage; establishing a recycling based society and system and establishing a future society in harmony with nature. Toyota Kirloskar Motor India has aligned its environmental activities in line with these challenges and is recognized as a “Eco-model Plant” aligning with its second challenge of “Plant with ZERO Co2” among the Asia Pacific affiliates of Toyota. 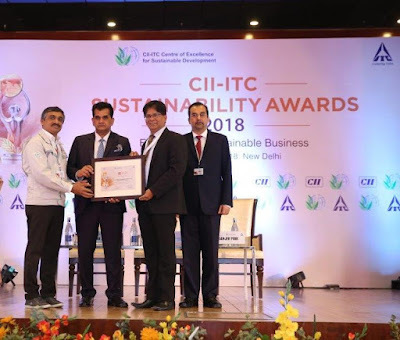 Instituted in 2006, the CII-ITC Sustainability Awards recognizes and rewards excellence in businesses that are seeking ways to be more sustainable and inclusive in their activities. CII CESD has developed an awarding framework based on the EFQM [European Foundation for Quality Management] Business Excellence Model and the organizations are evaluated against this framework. Winners of this award are India's Most Sustainable role models creating benchmark, inspiring all business entities to follow. This award is a part of the continued efforts of CESD to create awareness on sustainability practices and to generate capacities in business. In continuation to the above efforts, TKM also follows the approach of Learn, Perform and Drive to develop the Eco-Mind of employees. In addition to creating awareness, TKM also involve its employees physically in afforestation drives, environment month promotion and other Eco CSR activities with an intent to bring a sense of ownership towards the environment. Some of the key sustainable plant initiatives are the afforestation drive which includes plantation of 2.75 lakh saplings inside the premises, utilization of best available technology and promotion of eco-activities such as on-site rainwater harvesting pond of capacity 51,000 cubic meter meets 19% of our total water requirement. In addition to this, our modern effluent treatment plant further recycles about 63% of treated effluent, thereby reducing the dependency on freshwater usage. TKM will further continue to evolve & adopt eco touch in its every business operation towards creating more happier society for people to live in. 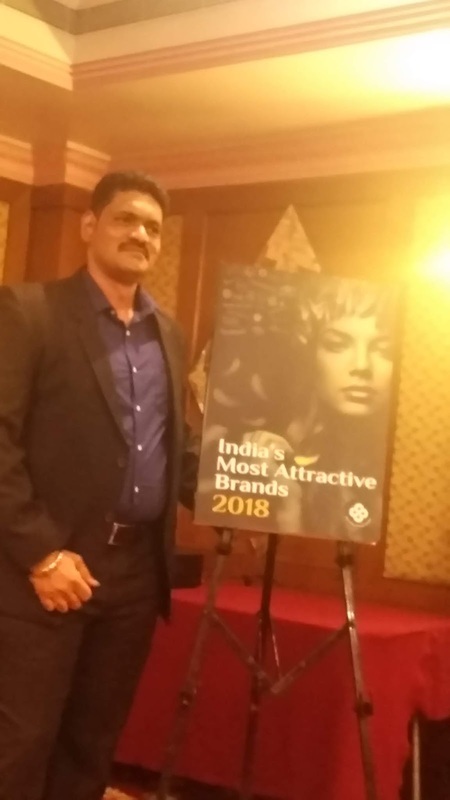 India’s Most Attractive Brands Report 2018 (MAB 2018), In its fifth edition, has listed the country’s Most Attractive 1000 brands by consumer choices, based on TRA’s proprietary model of Brand Attractiveness. The study is an annual syndicated primary research conducted with 2500 consumerinfluencers across 16 Indian cities. Much like the All-lndia list, consumers of Bangalore rank Samsung mobile phones as the Most Attractive brand in the city, followed by iPhone (All-lndia rank 3rd), and Maruti Suzuki (All-lndia rank 5th), at 2nd and 3′” places respectively. TRA Research has been scientifically measuring Buying Propensity conducting syndicated research on its’ proprietary matrices of Brand Trust and Brand Attractiveness since 2010. However, the superficial similarities of the city brands with All-lndia ranks ceases after the third ranked, showing very different choices of the Bangalorean. Continuing the city ranks, ITC is 4th ranked (All-lndia rank 85th), Honda in four-wheelers ranked 5th (All-lndia rank 10th), Oppo Is 6th (All-lndia rank 12th), Titan is 7th (All-lndia rank 11th), Hewlett Packard is 8’h (All-lndia rank 36th), Vivo is 9th (All-lndia rank 1 5th) and Toyota is ranked 10th (All-lndia rank 19th). The other brands which surge ahead in city compared to All-lndia ranks – Pizza Hut (+799 ranks), Airtel (+681 ranks), Zomato (+572 ranks) & KFC (+490 ranks) (Bajaj Auto is at 4th rank and Toyota is 5th among the list’s most desired brands. Brands which score very low by Bangalore as compared to All-lndia ranks are Apollo Pharmacy ranked 614th in Bangalore (49th in All-lndia), Land Rover ranked 582nd (82nd All-lndia), Yahoo ranked 567th (91st All-lndia), Bank of India ranked 616’h (146’h AllIndia) and Fanta ranked 546th (116th All-lndia). Other significant brands which face the scorn of Bangalore are Blue Star ranked 465th in Bangalore and 92nd All-lndia, Apple ranked 360th in city versus 46th in All India, Big Bazaar ranked 396th by city and ranked 80th All-lndia. “The consumer of the Garden city behaves and acts differently as different cultural, environmental, political, social and terrain they encounter. For a city that spends much time beating the traffic, Bangalore adores its phones and its cars. Arguably, the most cosmopolitan of all Indian cities with Kannada, Tamil, Hlndi, English and, sometimes Telugu, are well understood. Their relationships with brands is low with brandconsumer compatibility at -20%. The city loves tech – but less of fancy gizmos and more of the useful tech”, Chandramouli added. Yes Bank conducted the finale of YES Datathon launched in September 2018 on December 22-23 in Bangalore. 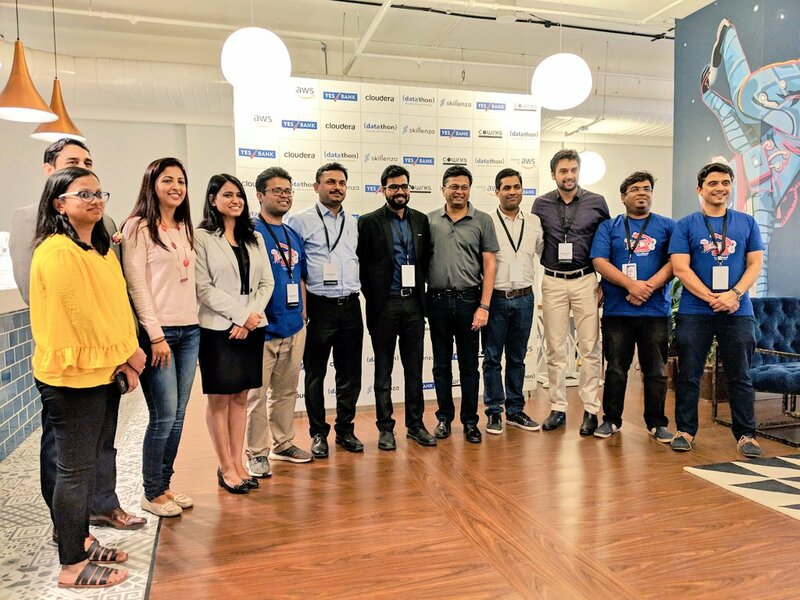 This was India’s first bank led Datathon aimed at augmenting Yes Bank’s embedded data analytics & ML units to drive rapid prototyping of AI/ML based products, optimize digital product suite, and enhance product/service design and delivery, in an accelerated 100 day period. The year 2018 has been a turning point in the history of Tata Motors’ passenger vehicle business with consecutive growth for 35 months. The PV business grew on the back of the new generation products. Commencing with the launch of two new platforms (ALFARC and OMEGARC) and the showcase of the H5X (now christened as Harrier) & 45X concept cars at the Auto Expo in February, 2018, this year was instrumental in paving the path towards enabling Tata Motors to be at the forefront of the Indian automotive industry. The company also introduced the new dual-architecture strategy, which will deliver 7-8 products/ variants from these two platforms ensuring greater coverage and sizable economies of scale. Additionally, the rollout of the Turnaround 2.0 strategy, laid its focus on ‘winning sustainably’ in the PV Business. Acting as a catalyst, this strategy led to multiple wins for the PV business in this year. The PV business witnessed a firework of four new product introductions during the festival season, which included the launch of the Nexon KRAZ, Tiago NRG, the all new Tigor and the JTP twins. Launched by JT Special Vehicles (JTSV), the 50:50 joint venture with Jayem Automotives and Tata Motors, the JTP range of performance vehicles – the Tiago JTP and the Tigor JTP are all set to bring back the ‘Joy of Motoring’ in everyday commute. In addition, this year the Nexon and the all new Tigor made their way into various international markets. In its constant effort to connect with younger consumer groups, this year the PV business fortified its brand presence across key marathon events. However, the highlight of the year was Tata Nexon’s association with VIVO Indian Premier League as their official partner. This year witnessed many strategic digital campaigns that resulted in optimum brand buzz and created more excitement for new products. Additionally, experiential marketing played a key role in increasing customer engagements. Adding some style to the year, Tata Motors also signed-up the popular Bollywood superstar - Hrithik Roshan as the brand ambassador for its all-new stylish sedan, the Tata Tigor. This and lot more led to an improvement of the PV brand in its Net Promoter Score from -1 to +18 this year. The Company’s plants too made it really proud this year, as they continued operating at their optimum levels. While the Ranjangaon plant rolled out its 50,000th Nexon in August, Sanand kept bettering its own record for the highest ever production since its inception. Rolling out its 50,000th passenger vehicle in October 2018, the Sanand plant not only won the Best Plant Safety Performance Award but also received CII’s Greenco Platinum certification. In addition to the above, for the upcoming, born of pedigree product, the Harrier, Tata Motors set up a new, world-class assembly line in the Pune facility under JLR’s guidance for ensuring high levels of dimensional accuracy and build quality. Top of the line international manufacturing practices like geo pallets, inline measuring robots, MFDC controlled welding, Bosch timers and JLR NUMMI process will ensure every Harrier rolled out from assembly line follows stringent quality standards. With close to 95% automation level, the Harrier assembly line uses 100 ABB & KUKA robots. With a renewed focus on increasing its footprint, Tata Motors has currently activated 27 new dealerships in its top 20 serviceable markets with another 17 more under activation. In Kerala and Maharashtra alone, 7 new dealerships each were added. Additionally, in a recently concluded event, the Company also added 6 new dealerships in the state of Rajasthan in a day – the fastest expansion drive done by its PV Business in one day. All this put together, Tata Motors has appointed an additional count of 59 dealerships and 142 Emerging Market Operations (EMOs) in 2018. These additions have helped the Company to expand its presence to an additional 90 cities this year. Adding to this, Tata Motors has also introduced the ‘Ashwamed Project’ in Uttar Pradesh - an upgradation of EMOs in Uttar Pradesh. The PV Business constantly explored unique ways to build consumer loyalty. In an effort to do so, the business introduced 24x7 Road Side Assistance service which offers quick assistance to distressed customers within 45 mins. 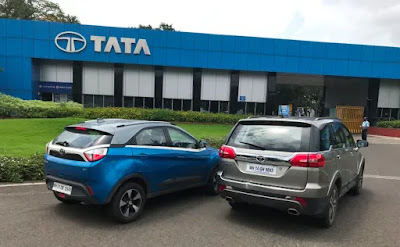 Thanks to the constant training and skilling sessions for its executives targeted at ensuring customer centricity, Tata Motors’ customers now attest to an informed and pleasant experience at the Company’s many dealerships. New digital intervention in customer service like introduction of the Service Buddy app (ready reckoner used by service advisors), Tata Motors Service Connect app (Customer App), Tata Motors Service application (Job card opening app) were highly appreciated by customers. However, the proof of the pudding was when the PV business bagged the second spot for the second year running, this time doing even better – a clear second position in the JD Power CSI Study, 2018. Commenting on the fruitful year gone by, Mayank Pareek, President – Passenger Vehicles Business Unit, (PVBU) Tata Motors, said, “We started the year on a high note, as we clocked the highest sales figures in 63 months in January 2018. Moving forward, this year witnessed an array of launches from the PV Business including four new product introductions during the festival season, which helped us to grow our volumes during what was a rather sluggish period for the entire auto industry. While we bucked the trend to a large extent, we have also felt the effects of a few adverse external economic factors, during the last few months. Not being deterred by these headwinds, our PV Business registered a remarkable improvement in brand perception in 2018 owing to our forward-looking market strategy, leaving the close competition significantly behind. Tata Motors has been steadily expanding its offerings in the Indian market and manufacturing best-in-class products with its advanced technological prowess. The business manifesto of the passenger vehicle business for 2018 was built on three strong pillars which include sales enhancement, cost reduction and operational efficiencies. The Company is confident of capturing a larger pie of the domestic market next year by building on the already strong foundation it has laid in 2018. 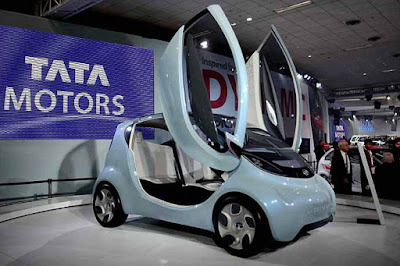 As a challenger brand, Tata Motors will strive to continue to outperform the market and aim to make the Company the most loved and cost-effective company in the world. In the words of Pareek “365 days bring with it 365 new opportunities.” Having said that, with a number of hits in 2018, Tata Motors is all geared to step up its game in 2019. As per a recent industry report, AI will boost India's annual growth rate by 1.3% by 2035. 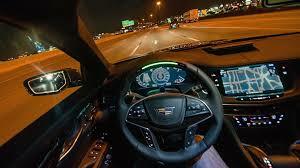 Some of the major growth drivers of AI/ML in 2019 would be - specialized chip optimized for speeding up the execution of AI-enabled applications and Industrial IoT, making it the biggest driver of artificial intelligence in any enterprise. The Jawa and Jawa forty two are priced at INR 1,67,000/- and INR 1,58,000/- respectively (ex-showroom, Bengaluru) and bookings are open online at www.jawamotorcycles.com as well as the showroom. Jawa: The timeless style and iconic character of the original Jawa is reborn in this new Jawa. With an evolutionary aesthetic that retains the authenticity and familiarity of the past – classy, elegant, sophisticated, majestic - this one is tuned for the legacy seekers. The Jawa in its form and function is the quintessential classic with old world character and truly modern performance. 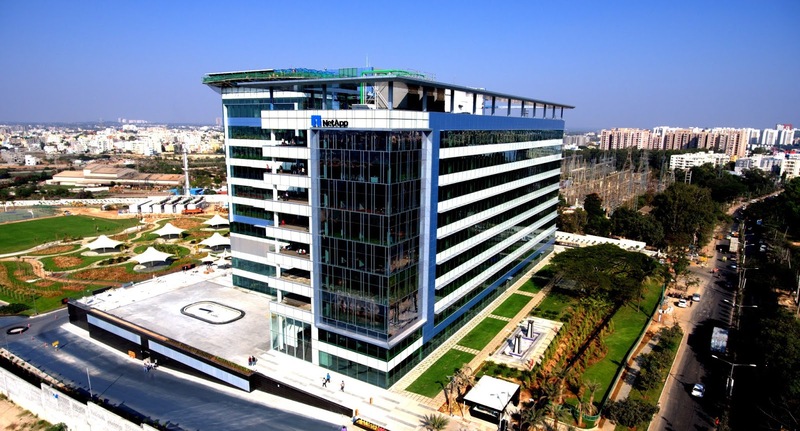 NetApp has announced three research grants to the Indian Institute of Technology (IIT Jodhpur and IIT Kharagpur) and Indian Institute of Science (IISc) for the advancement of research in the data management space. NetApp is a leader in data management and is known as the data authority in the hybrid cloud world. For the year 2018, the NetApp Faculty Fellowship (NFF) has been awarded to Prof. Vijay Kumar of IISc Bangalore, to support research in private information retrieval and coded computation to enhance security in the age of Cloud Computing; to Prof. Bivas Mitra of IIT Kharagpur, for research on Machine Learning (ML) based model development for storage system troubleshooting and workload characterization; and Prof. Subhajit Sidhanta of IIT Jodhpur has been granted the NetApp Student Fellowship (NSF) to investigate the trade-off in performance and consistency for widely distributed systems used in IoT and Fog computing. NetApp’s fellowship program has granted 31 such research partnerships with IP (Intellectual Property) free grants up to USD 20,000 over the last 10 years in India. These partnerships open the door for NetApp’s data management technologies, experience, equipment and lab to be shared with academia, paving the road for research with far-reaching consequences for management and security of data, the foundation of today’s digital transformation. This program has ties with several top technology institutes including the IITs, IISc, Anna University and ISI Kolkata. The program offers recipients, opportunities to conduct research in areas of mutual interest to identify and explore trends such as ML, IoT, AI, Blockchain, Data Lakes, Data Analytics and Cyber Security. 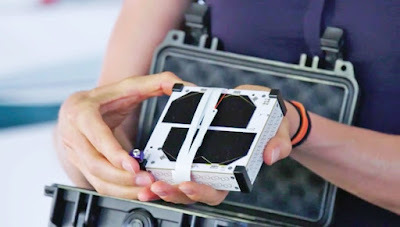 The grants also prepare students for jobs in the space of advanced technology as it allows them to apply their research to relevant industry problems under the guidance of supervising professors at top institutes in the country. “Through our fellowships program, we aim to create an innovation ecosystem including some of the best scientific and engineering minds in the country. 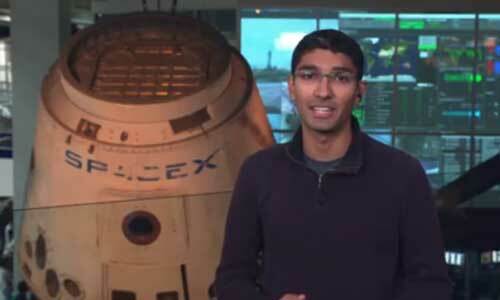 We want to leverage the program to translate research into real-world applications. For instance, people associate Machine Learning with image recognition, self-driving cars, and expert-like machines in games. 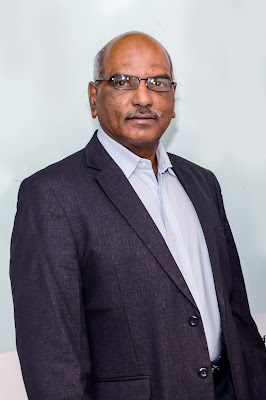 NetApp has worked with professors from IIT Kharagpur to conduct research on unique capabilities of managing complex systems deployed in cloud computing through ML, thus opening further research areas in the process,” echoed Siddhartha Nandi, Director, Advanced Technology Group, NetApp, and leader of this program. For example, ISI Kolkata’s Prof. Sushmita Ruj, an NFF recipient, works with NetApp to develop efficient and privacy-preserved data auditing schemes that can help a user keep a tab on the reliability of their data stored in multiple clouds. Cloud security is one of the most talked about topics as data-sensitivity concerns grow with massive cloud adoption. This, and many other such areas of impactful technology research are the cornerstones of this program- leveraging the power of data to transform lives and businesses.